You’ve chosen Olympus equipment for excellent performance, precision, and quality. Now choose a calibration and service solution that will keep your equipment operating at the highest level. 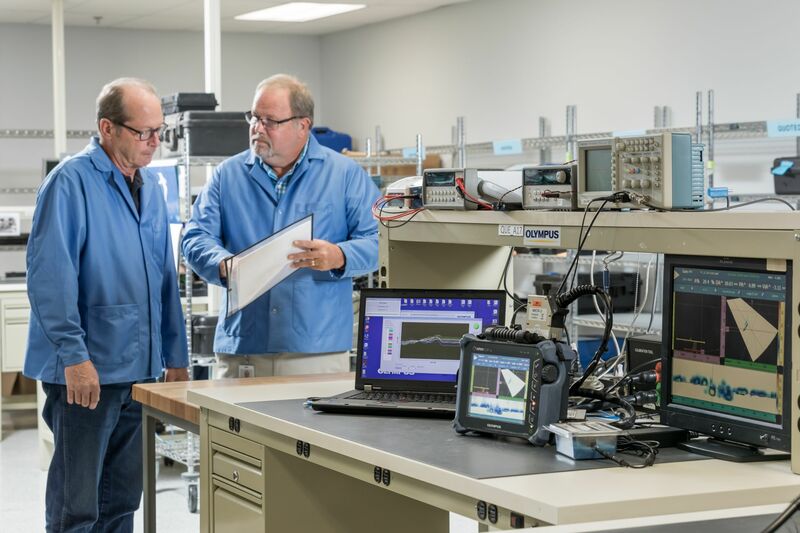 We use proprietary test equipment that keeps your devices performing optimally, year after year. If you need a repair, our technicians use only OEM parts, so you can be confident that your device will return in proper working condition. 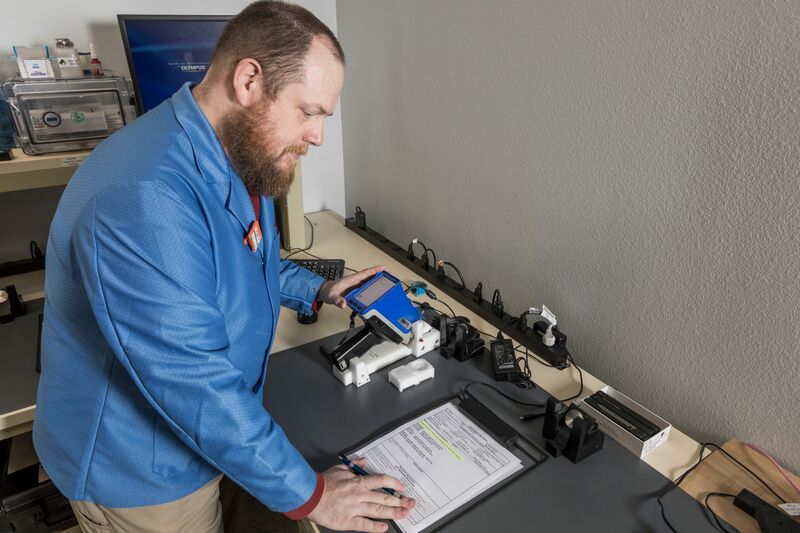 We are committed to providing you the best technical support for your remote visual inspection (RVI) equipment, ultrasonic and phased array flaw detectors, transducers, and scanners, eddy current flaw detectors, thickness gages, X-ray fluorescence (XRF) and X-ray diffraction (XRD) analyzers, and industrial microscopes. Find the nearest service center for your NDT, RVI, microscope, and XRF and XRD equipment. Learn more about service offerings in Europe, the Middle East, and Africa. Learn more about Olympus extended warranties, service contracts, and our True Protection Plan. Please see "Terms of Repair of Industrial Products" before contact. The Olympus Corporation will provide users with the Services in accordance with these Terms, provided that users shall have consented to these Terms in advance of use of the Services.